For room cooling and heating in commercial buildings; designed for high cooling capacities along with fresh air supply to enhance the indoor air quality. The secondary air is drawn directly from the occupied zone. The supply air is discharged below the ceiling. 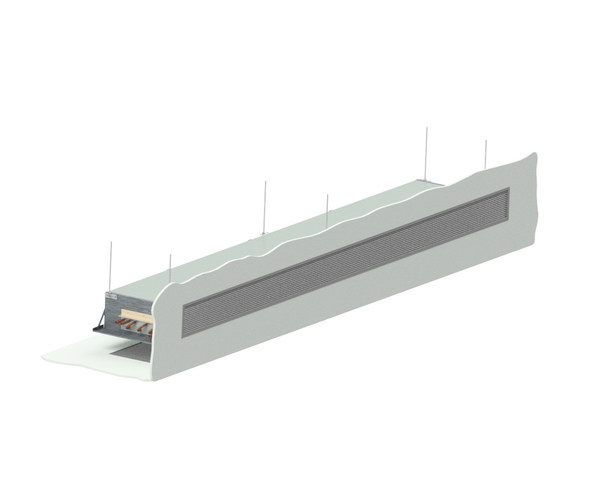 This chilled beam is designed for wall or ceiling mounting. It is most suitable for hotel rooms, individual offices, or lobbies.